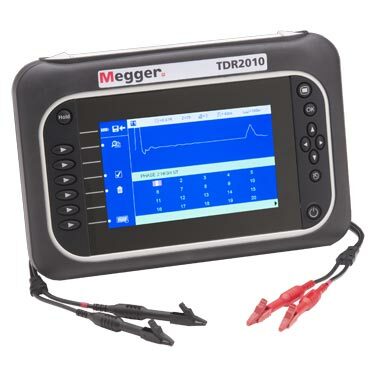 The TDR2010 is a dual channel, high resolution compact Time Domain Reflectometer used for locating faults on paired metallic cables. It has a backlit color display and is powered by Li-ion rechargeable batteries. The TDR2010 incorporates a trace tagging feature which allows the user to add a name to saved traces.